After a year-long search and an impressive shortlist made up of 30 young future leaders, Kruger Cowne and partners One Young World and Spaceship Earth Grants announced yesterday (21st November 2015) as part of the One Young World closing ceremony, the champion of the programme – 24 year old Hussain Manawer from Illford, Essex. Having delivered a 3 minute speech at the programmes final in front of an international audience made up of 1300 delegates and online spectators, Hussain wowed the panel of judges and the public with a performance of a lifetime. Hussain Manawer’s achievements already include being amongst the elite few who became Olympic torchbearers for the Olympics London 2012. Whilst studying at university, the up-and-coming media mogul climbed Kilimanjaro, raising thousands of pounds for charity. At present, as well as interviewing a host of influential public figures on his online channel Hussain’s House, the talented poet takes time out of his schedule to visit schools across the country, speaking to young people on issues such as cyber bullying and the importance of self-expression through the arts. Presented with the trophy, a model Lynx spacecraft which is replica of the shuttle that will catapult him into space, Hussain’s acceptance speech acknowledged issues around mental health, as well as calling on the young generation to acknowledge the differences in religious radicalisation and peaceful practice. 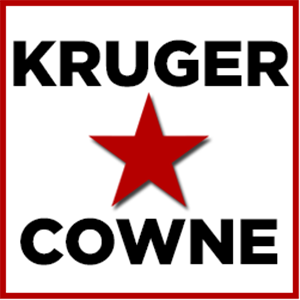 Now set to sign with one of Europe’s leading talent agencies, Kruger Cowne, as part of the Rising Star offering, Hussain will be managed and positioned to develop powerful connections and given a platform to engage with a global audience and develop solutions to some of the world’s most pressing issues. The agency will look after the young poet for branding, licensing, publishing and speaking engagements. Related: Hussain Manawer speech, Hussain Manawer keynote speech, Hussain Manawer mental health, Hussain Manawer space.